A fisherman's frightening discovery in Lake Como, just offshore from George Clooney's beloved Italian mansion led Navy divers to a cache of unexploded World War II bombs. The scuba team brought the explosives to the surface early Wednesday just in front of Villa Oleandra, Clooney's villa on the picturesque northern Italian lake, according to Aol News. 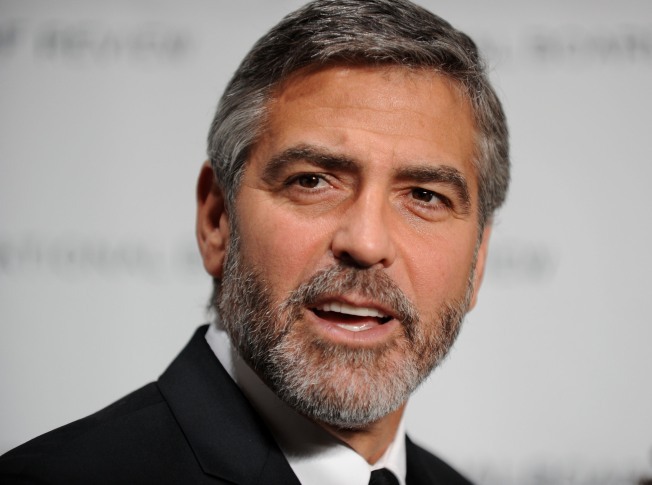 Clooney was not believed to be in the area, said Roberto Pozzi, the mayor of Laglio. "We received an alert by a local diver that there were some explosives right in front of Clooney's villa," Pozzi said. "I sent a warning to the villa personnel that they should leave." Pozzi said about six people work regularly in Villa Oleandra, including a caretaker and his family. The bombs, which were in 26-foot deep water, were safely detonated at another location. A total of 500 pounds of munitions were found, according to the London Daily Mail, after a fisherman snaggged one. They are believed to have been dropped by a World War II bomber. Clooney bought the two-story Villa Oleandra in 2001, putting Laglio on the map for photographers and paparazzi hoping to get a glimpse of the actor. From members of the Versace family to Sylvester Stallone and Russian billionaires, many celebrities regularly visit or have homes on the exclusive shores of Lake Como.